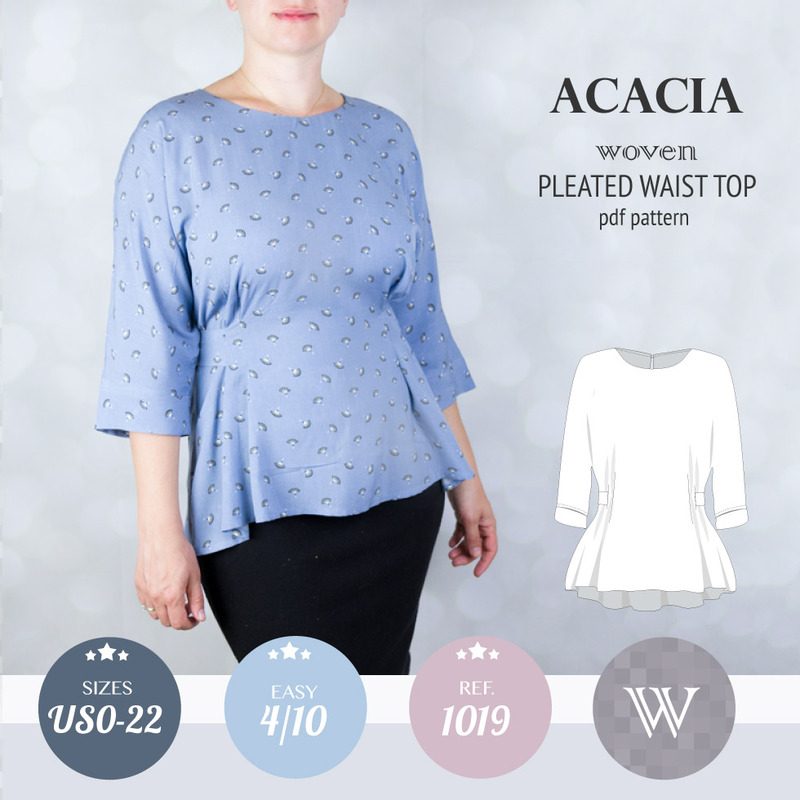 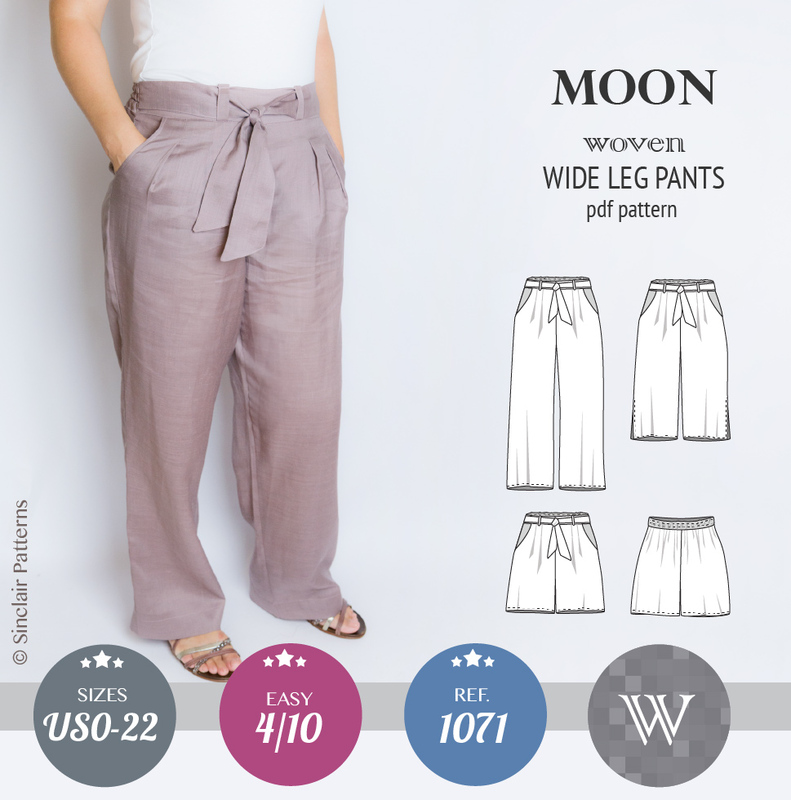 Featuring: Classic pull on wide leg woven pants, fitted at the waist with two pleats and elastic band in the back, loose fitted at the hips, knees and ankles. 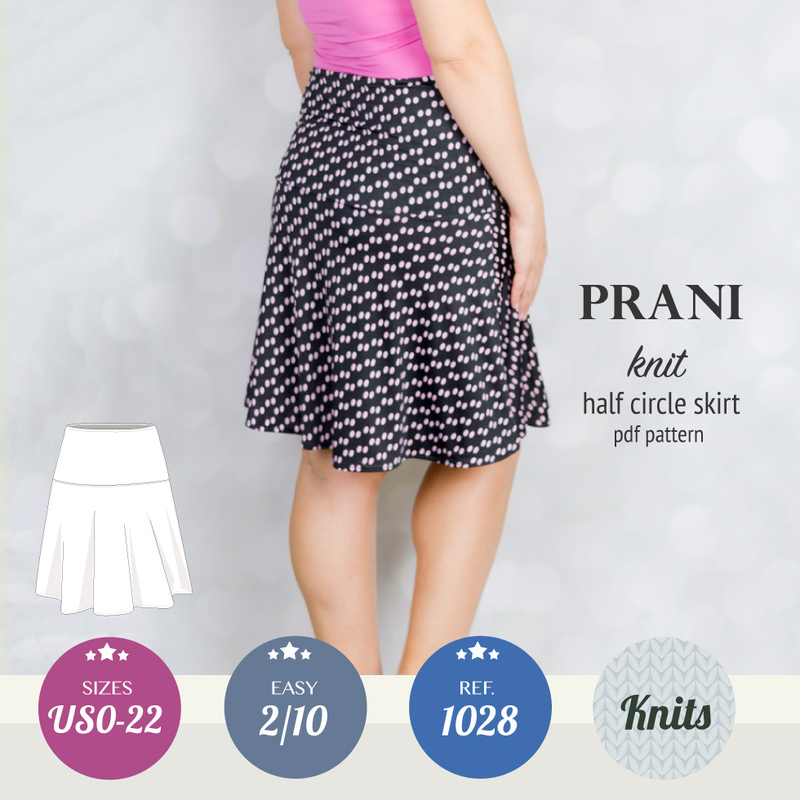 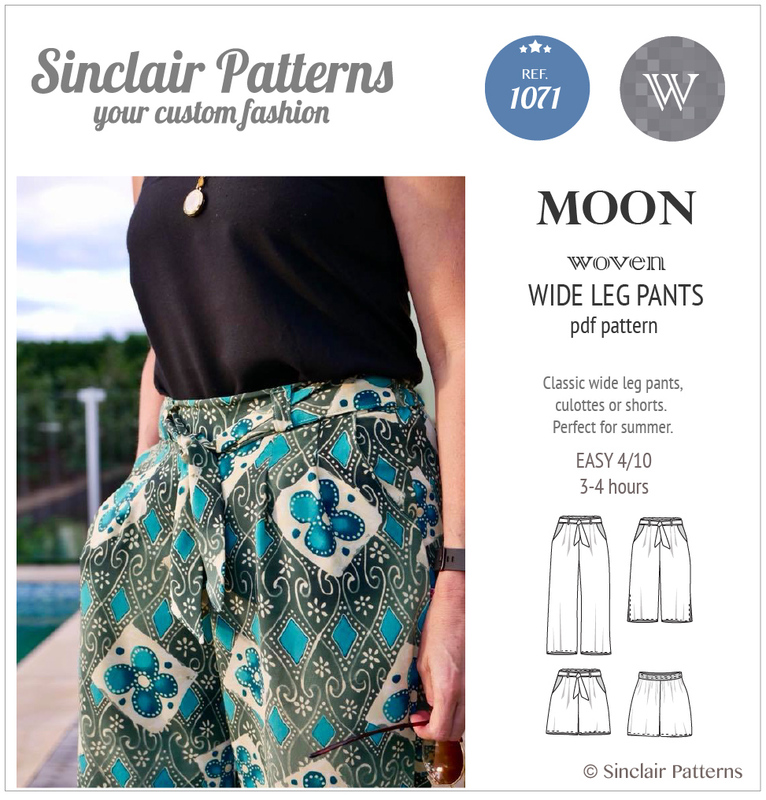 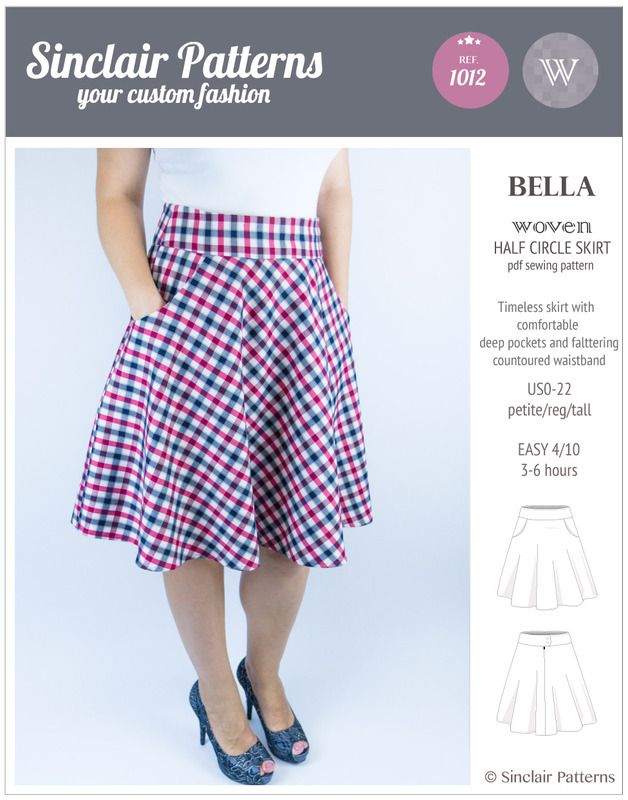 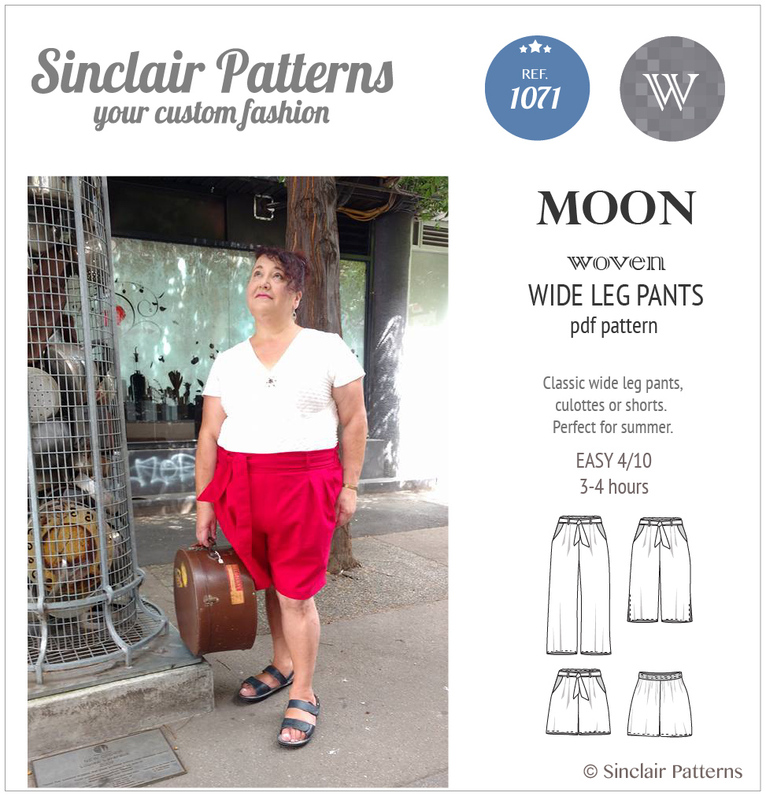 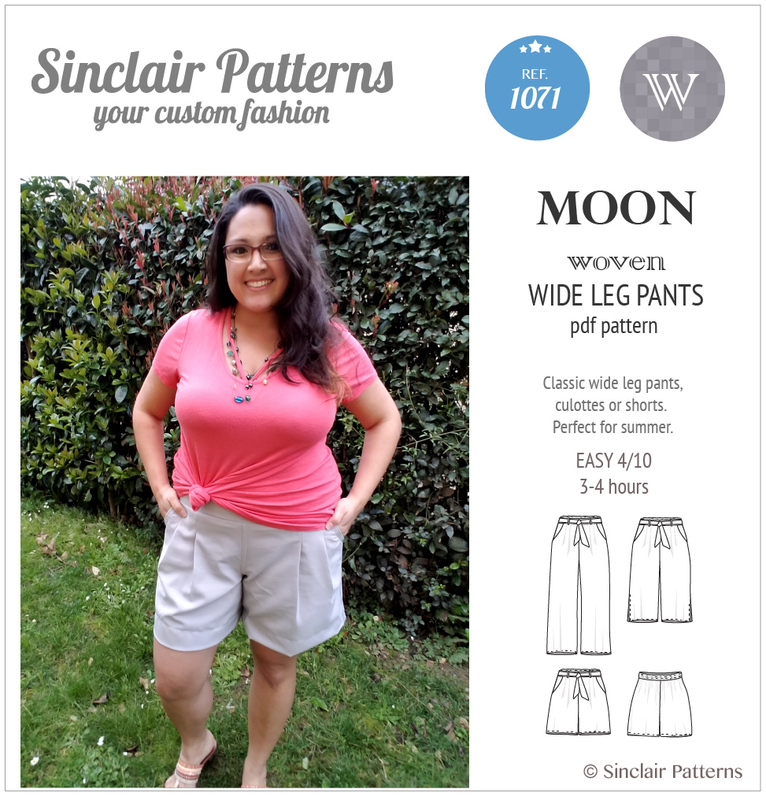 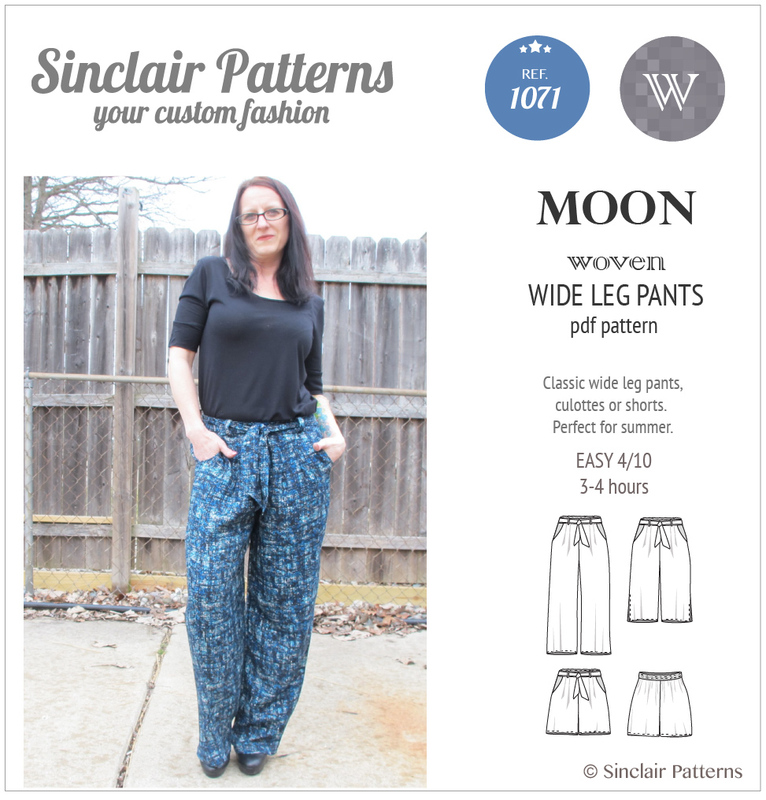 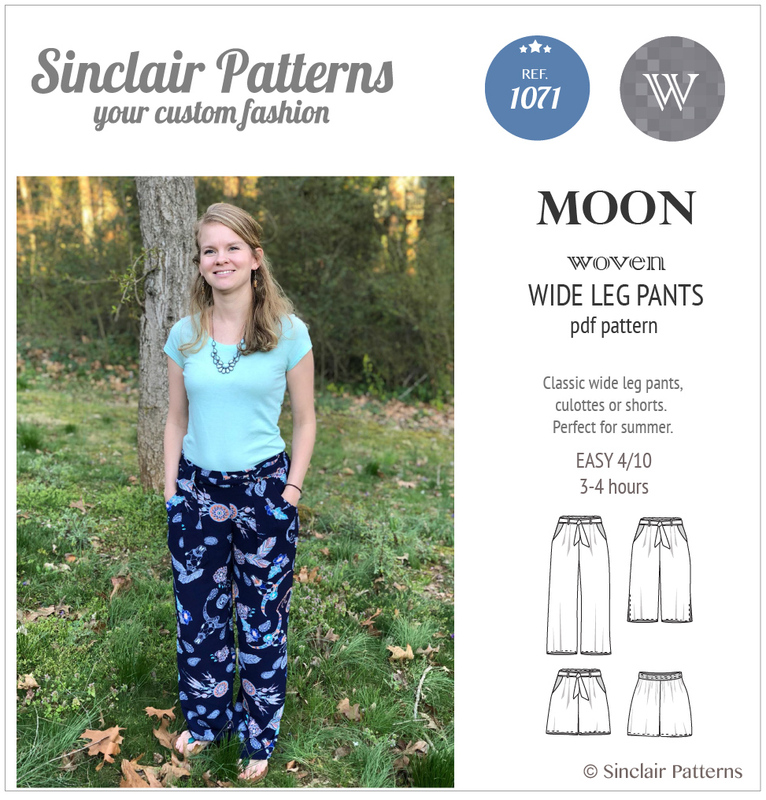 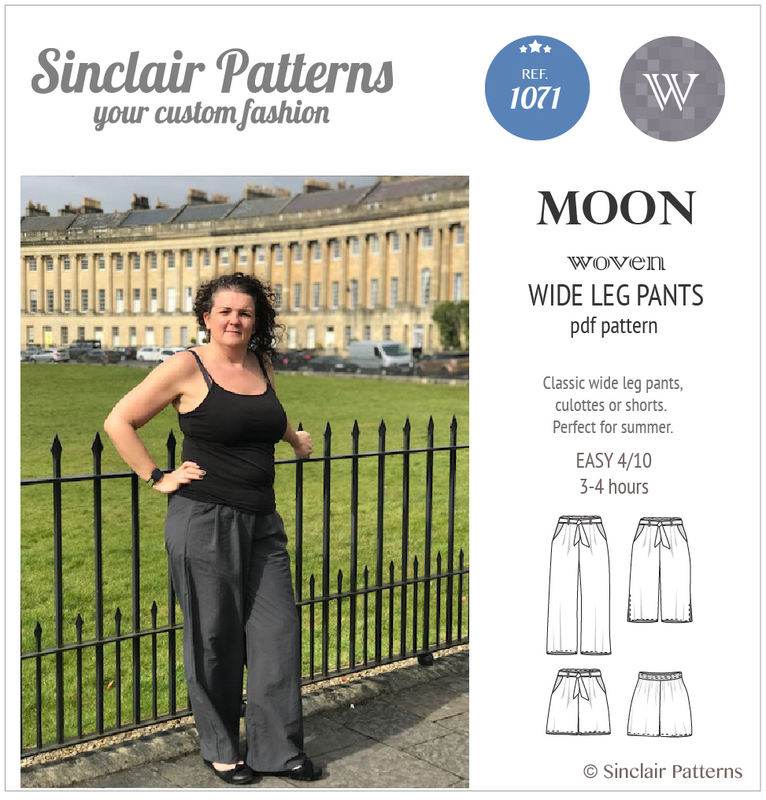 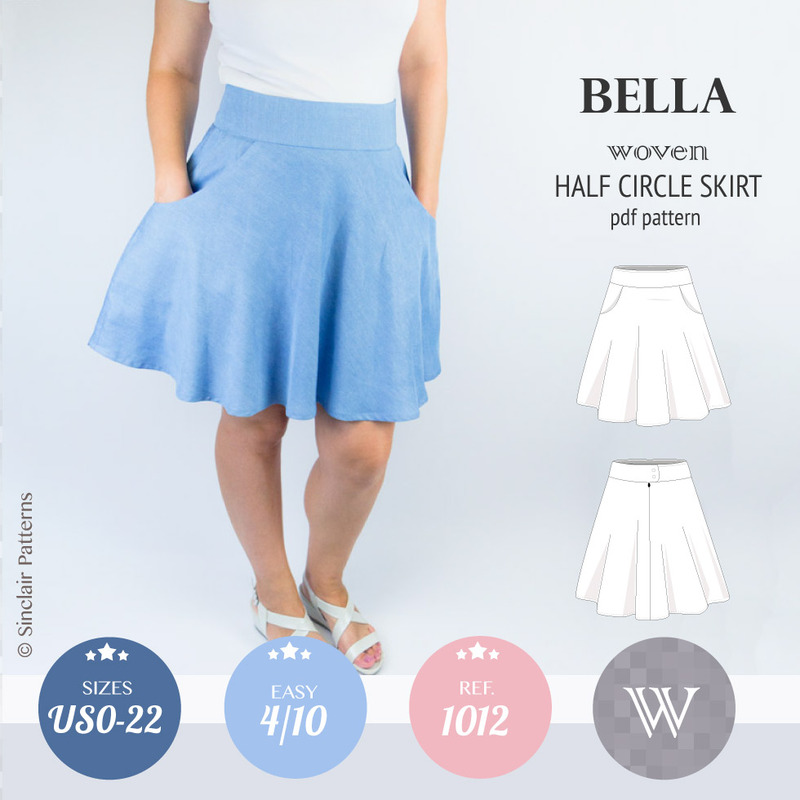 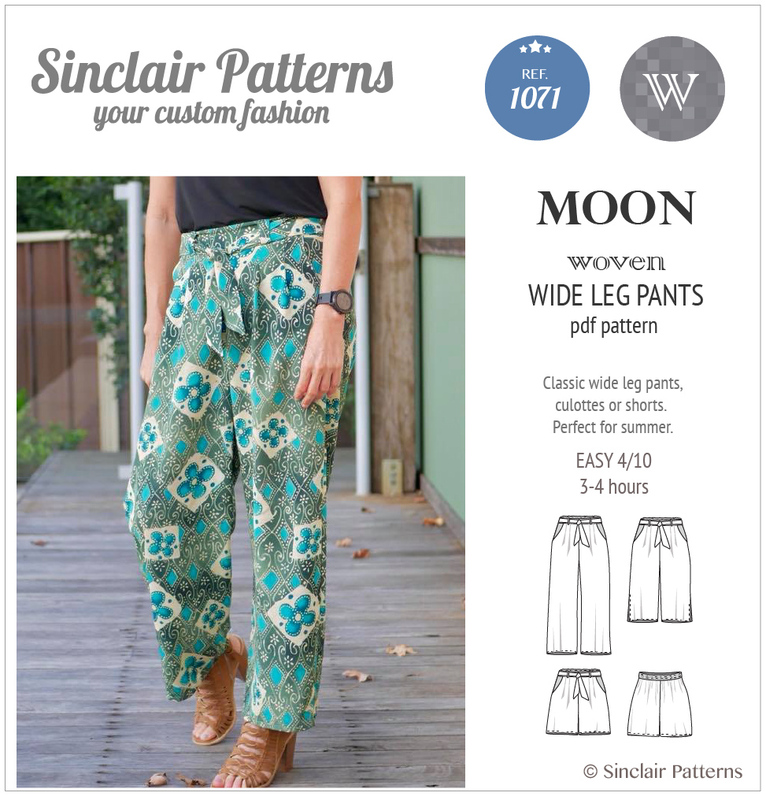 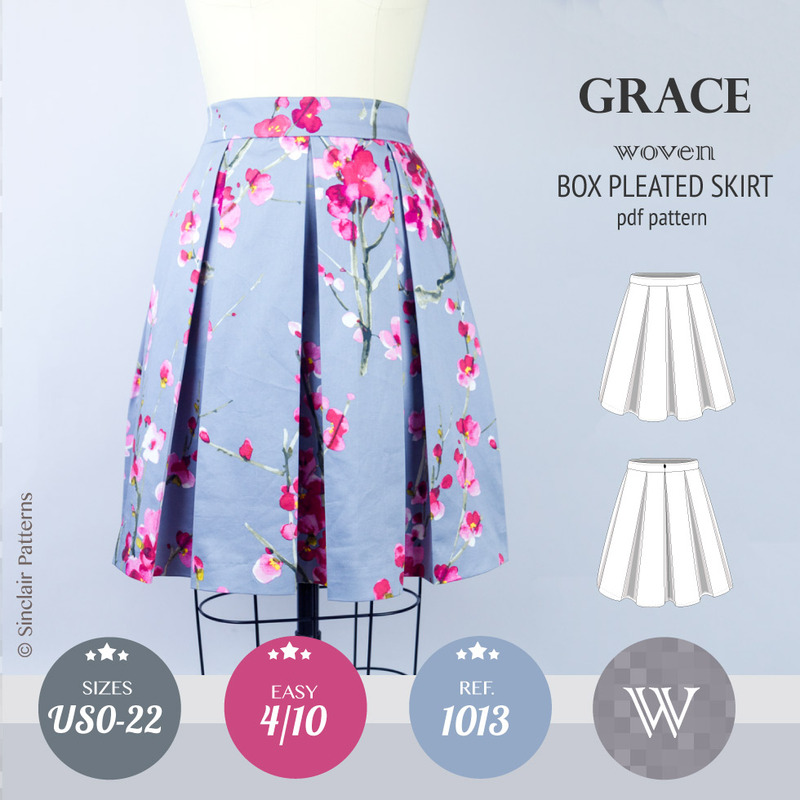 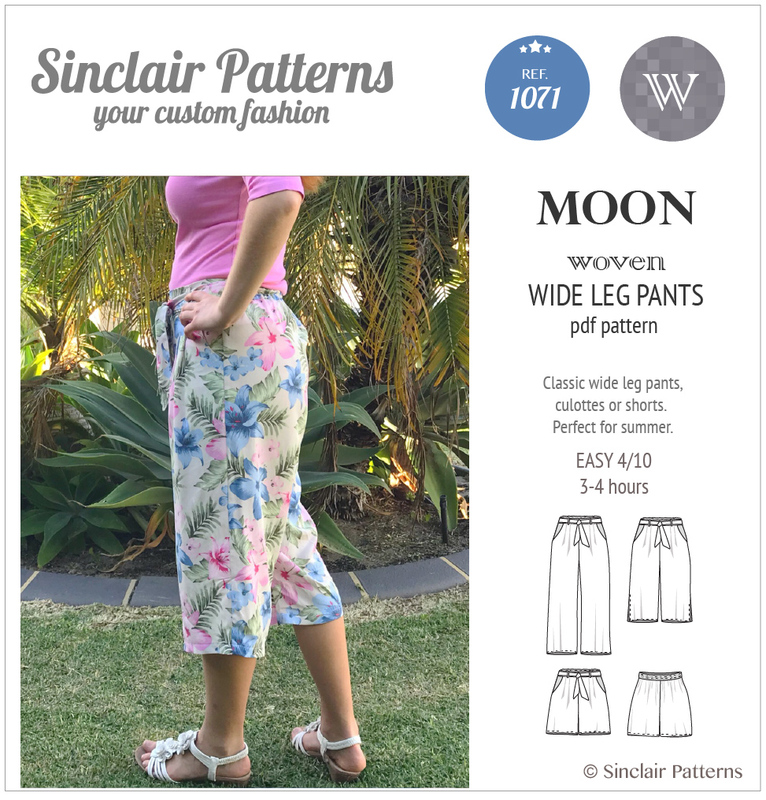 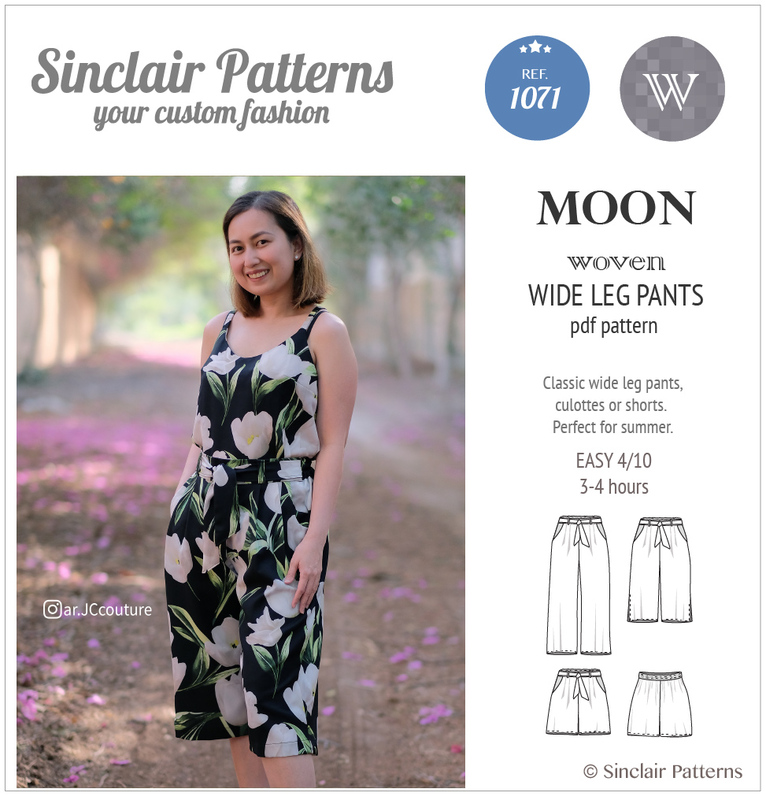 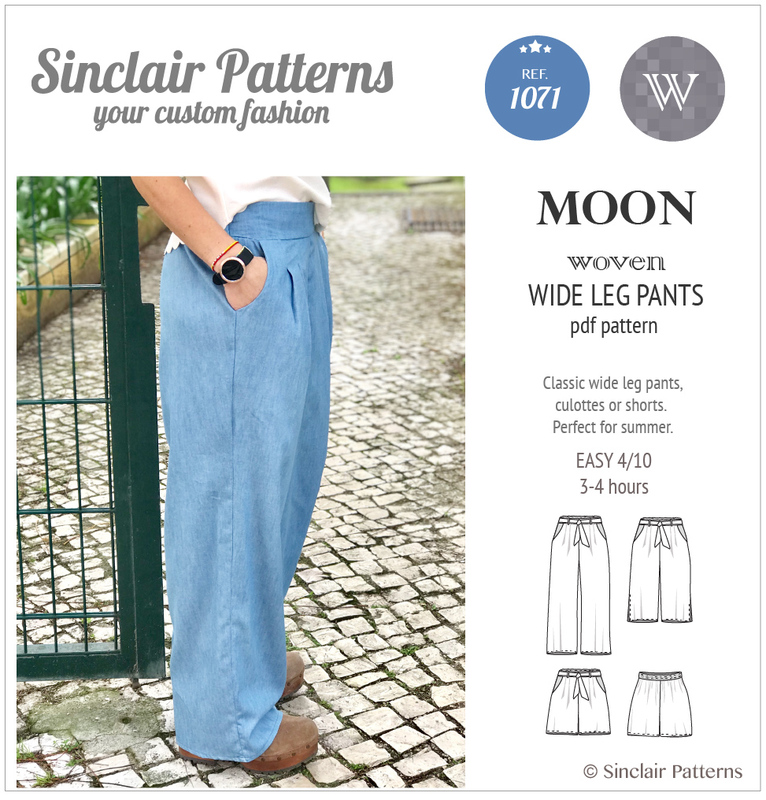 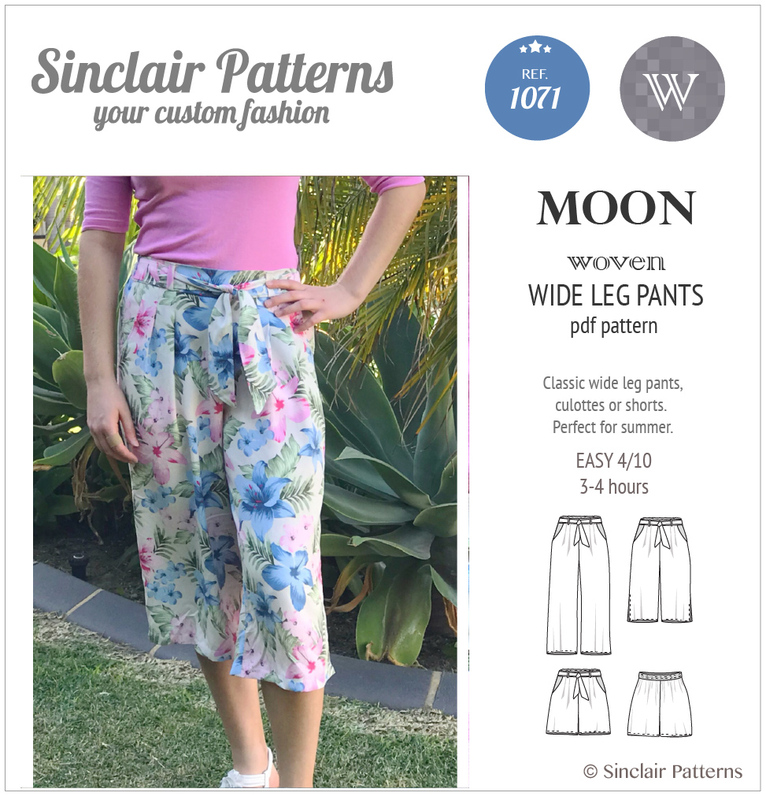 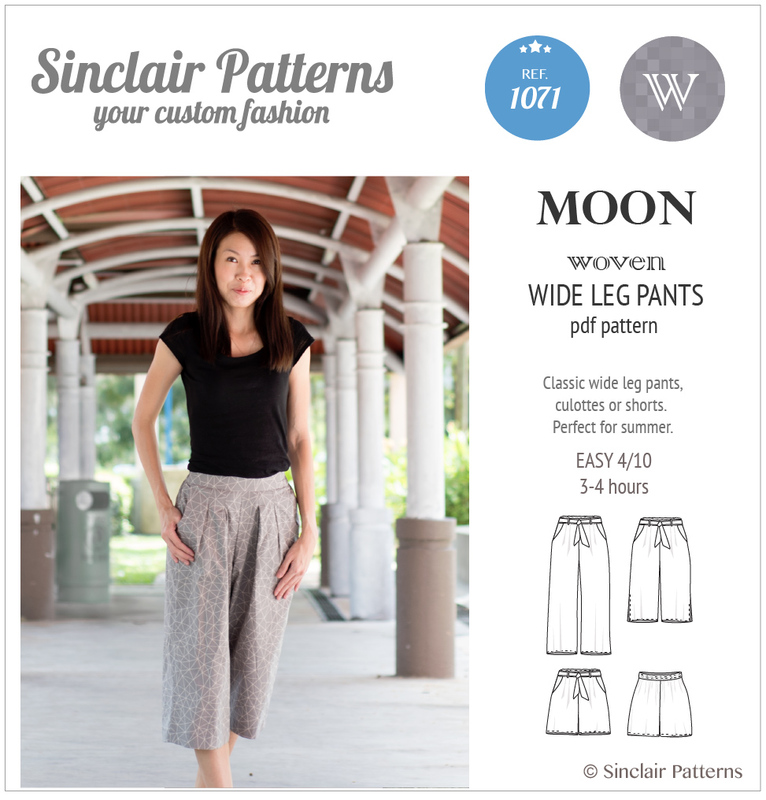 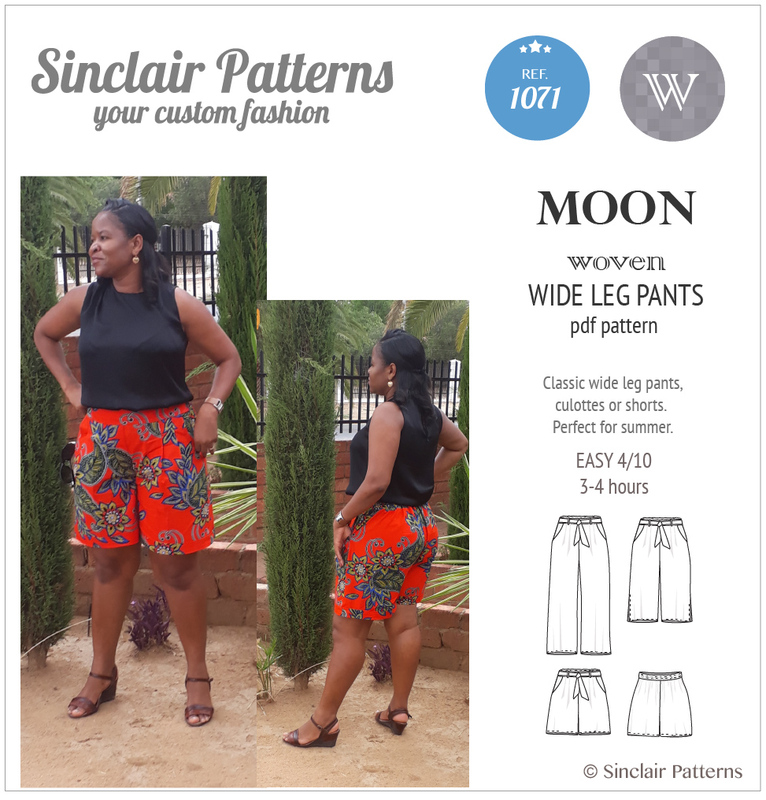 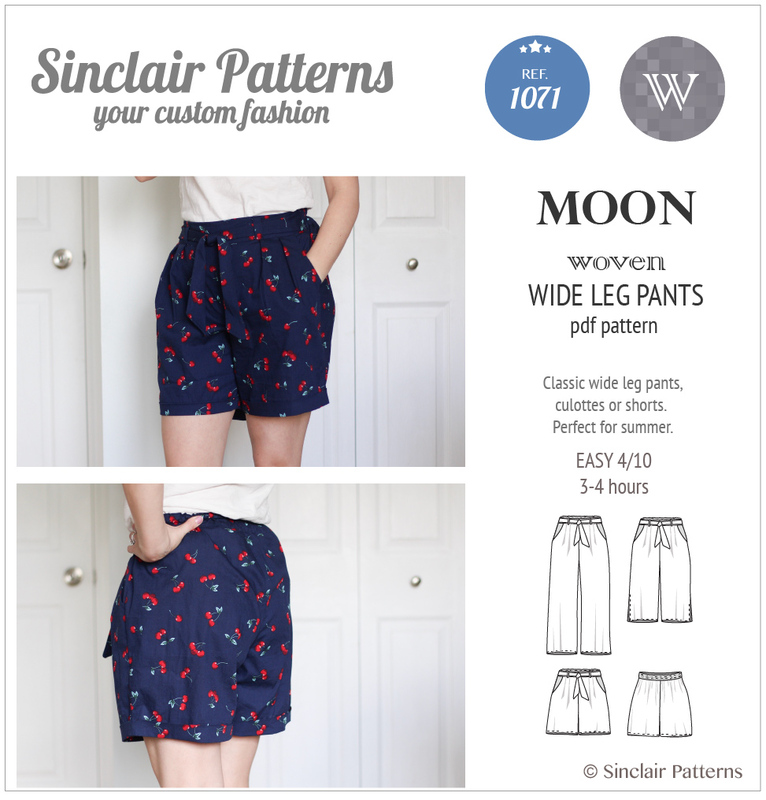 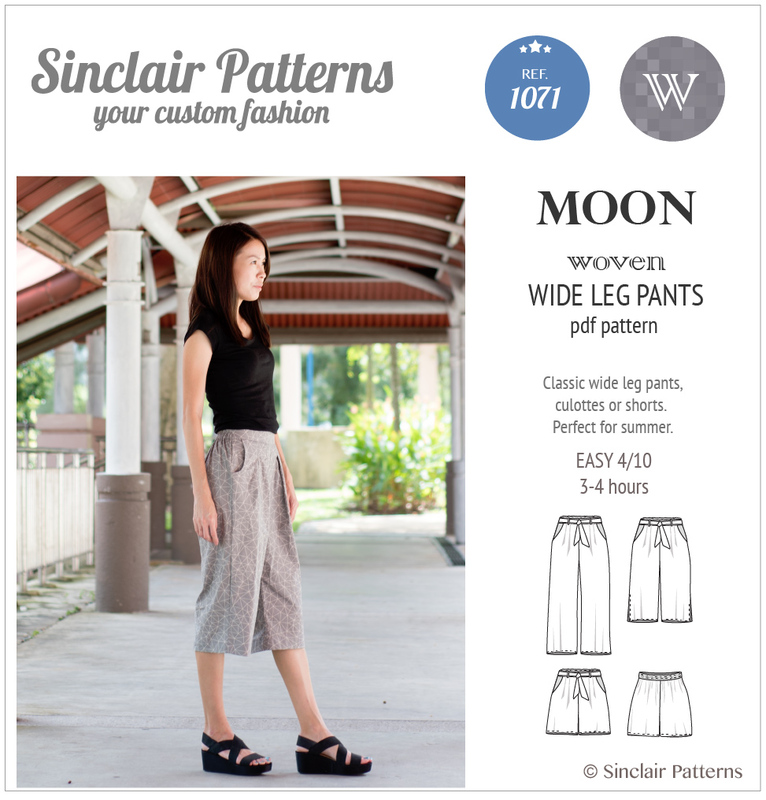 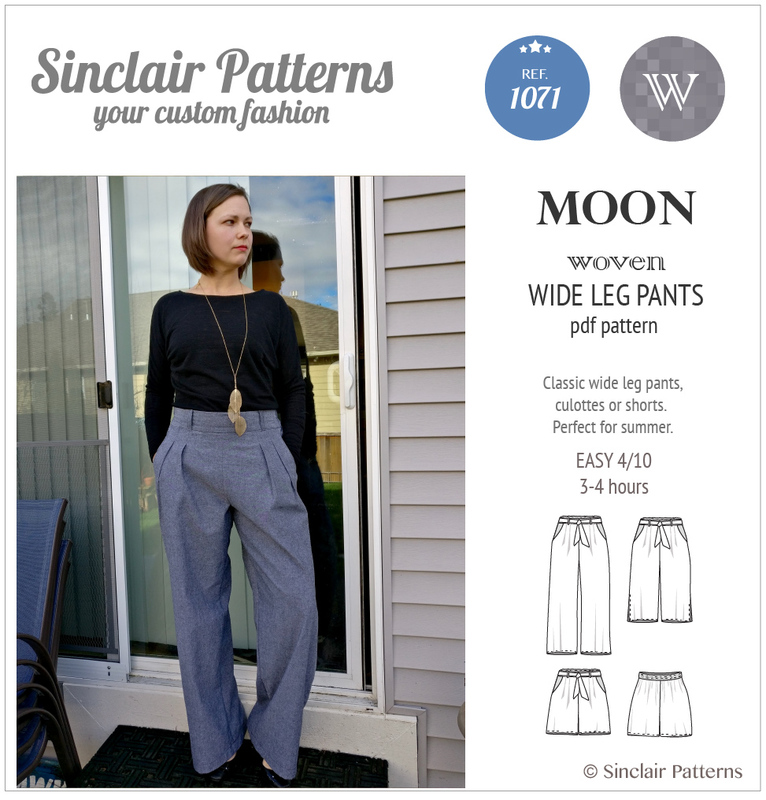 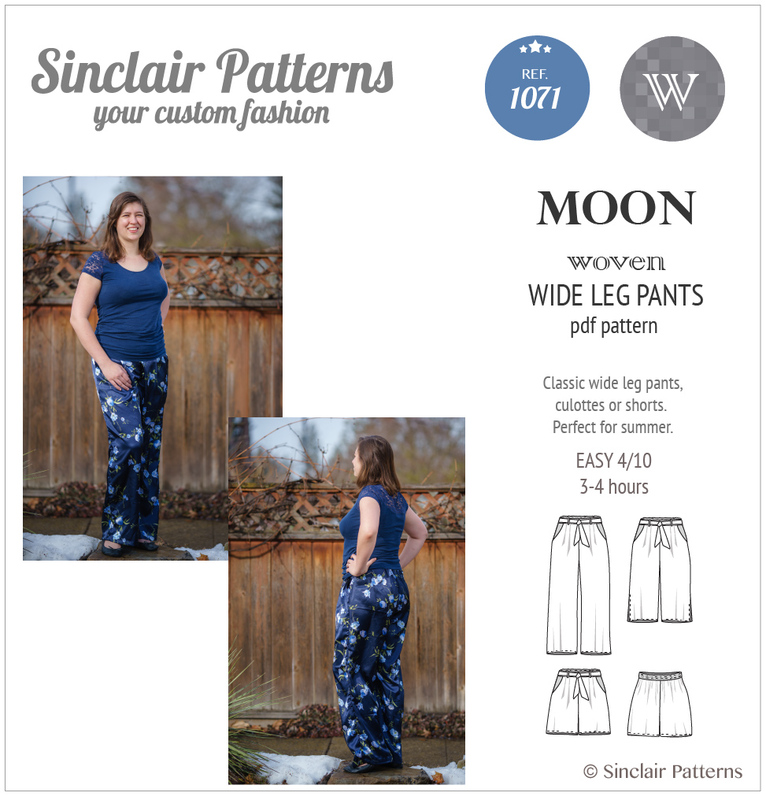 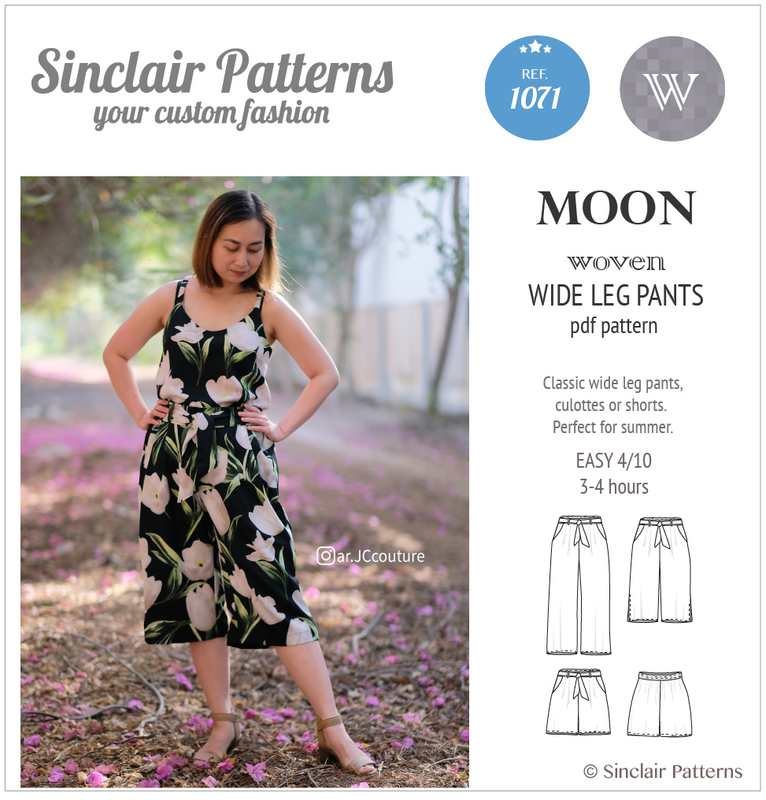 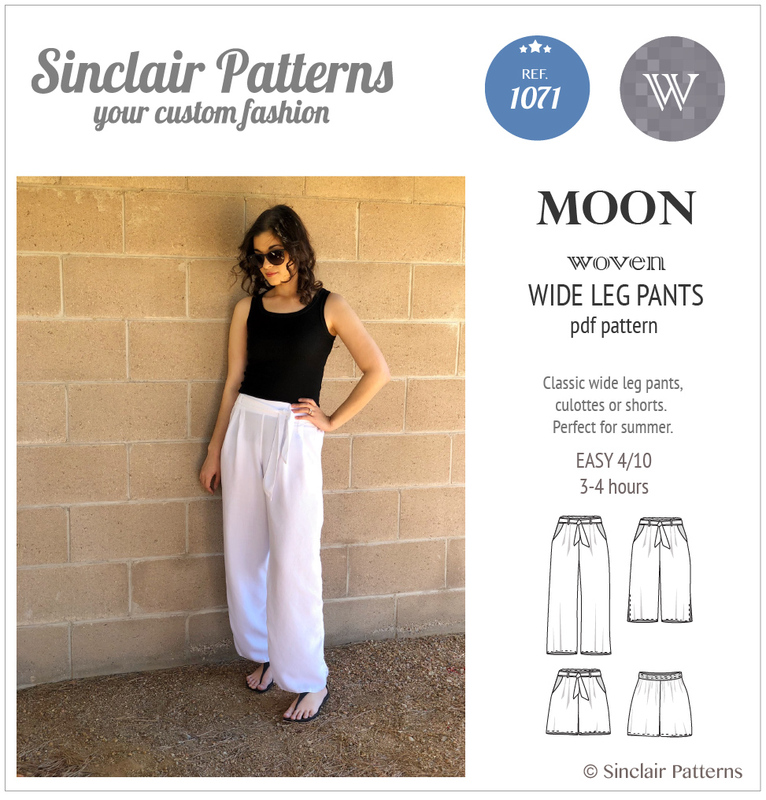 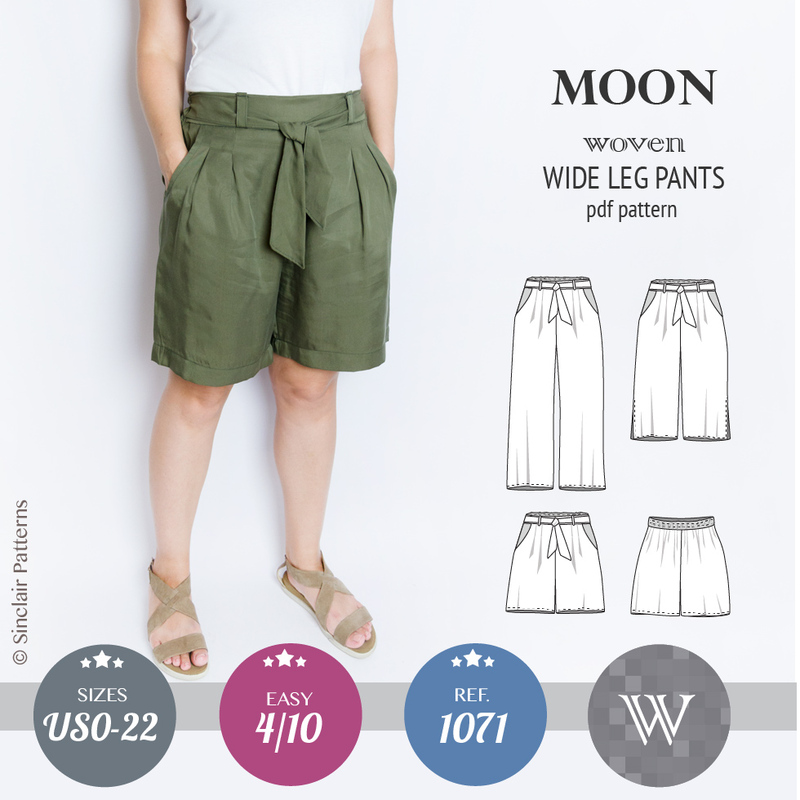 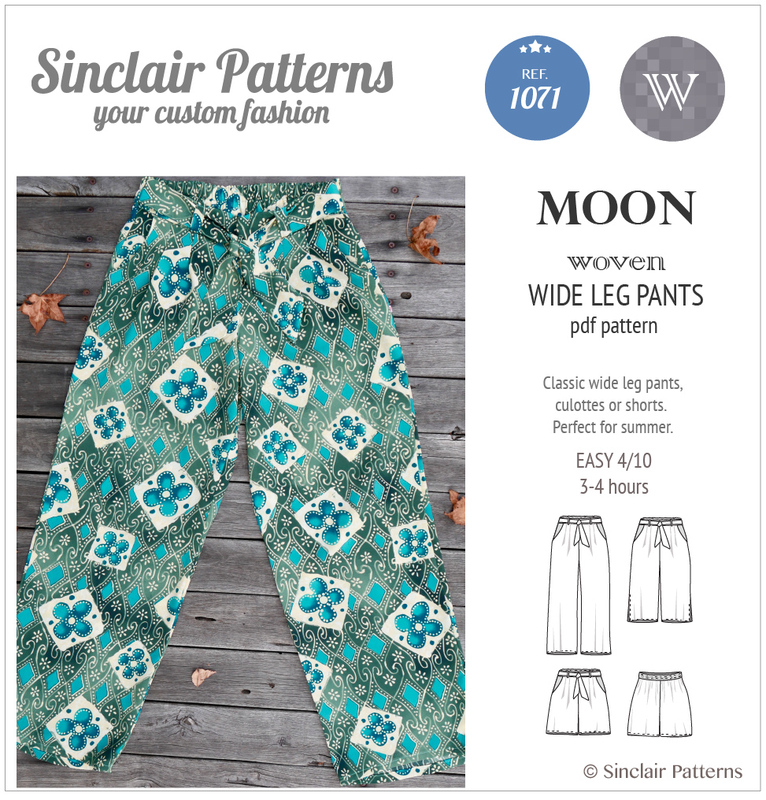 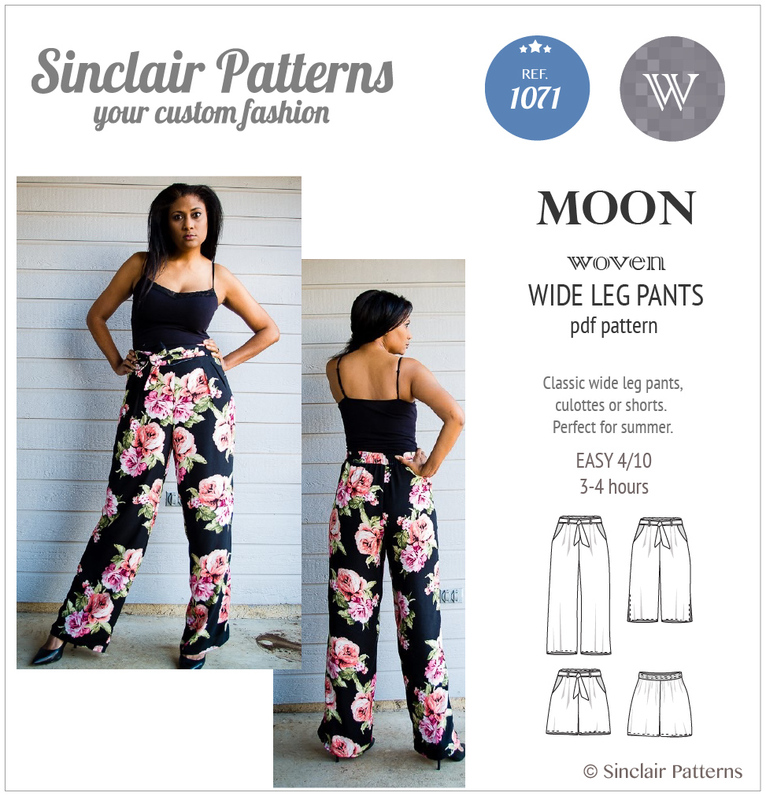 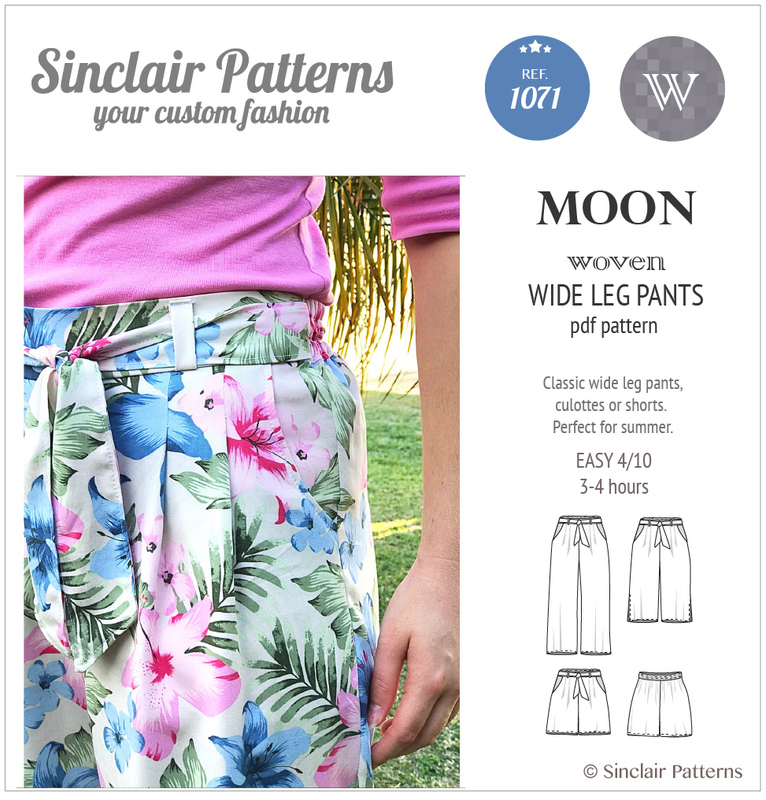 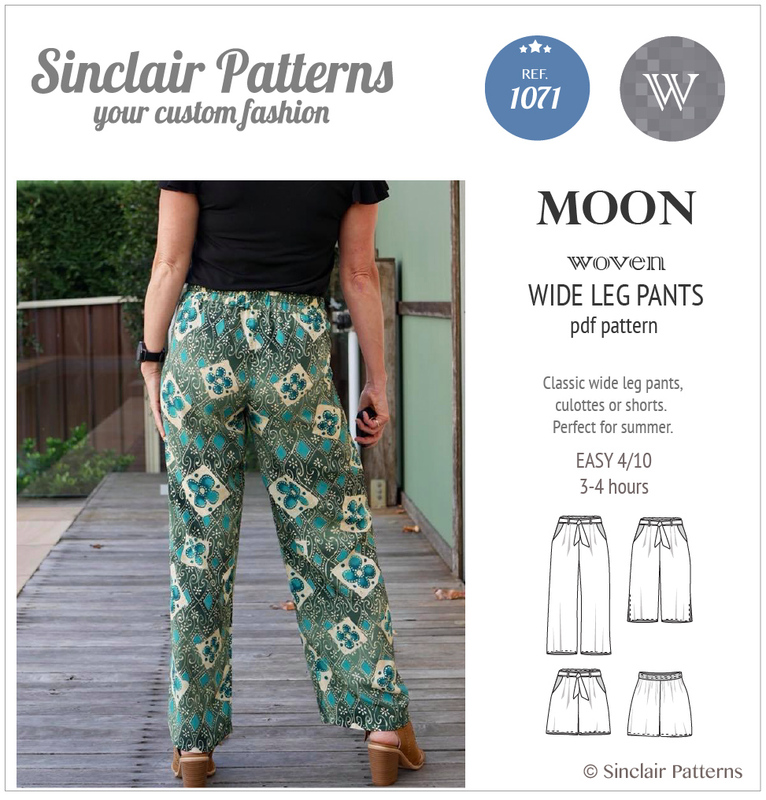 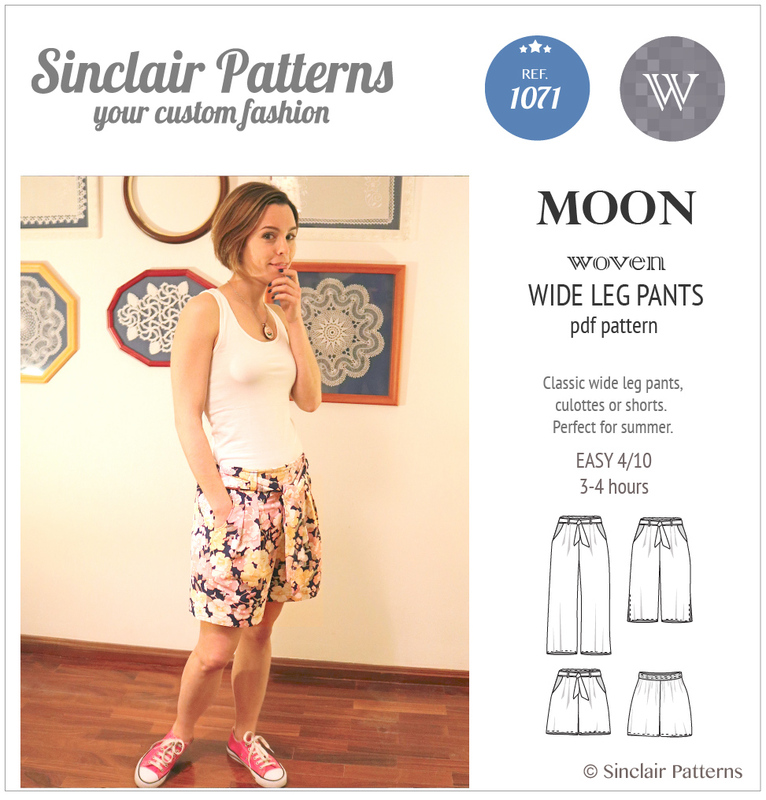 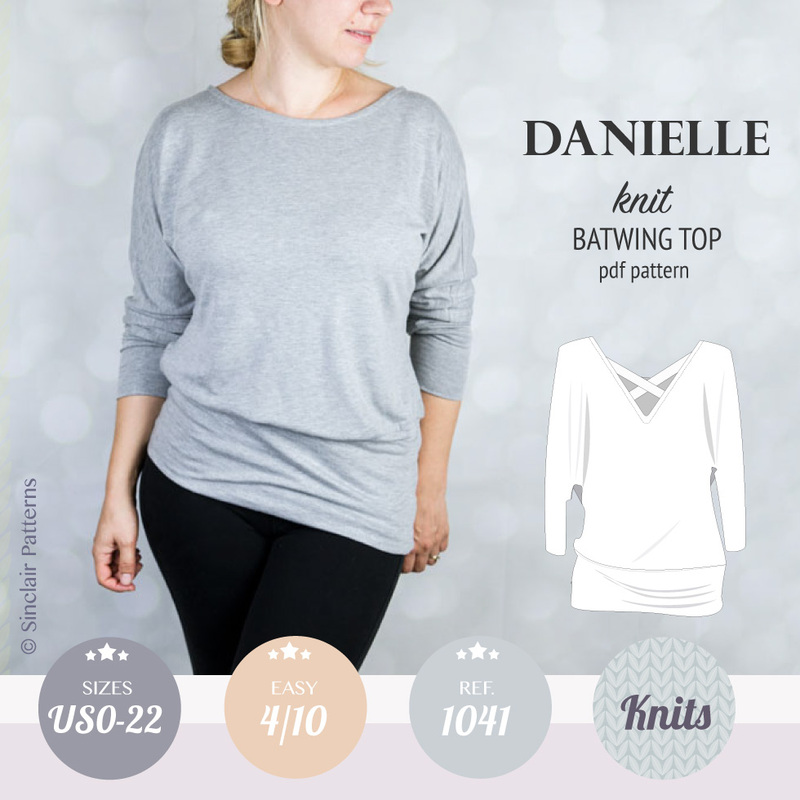 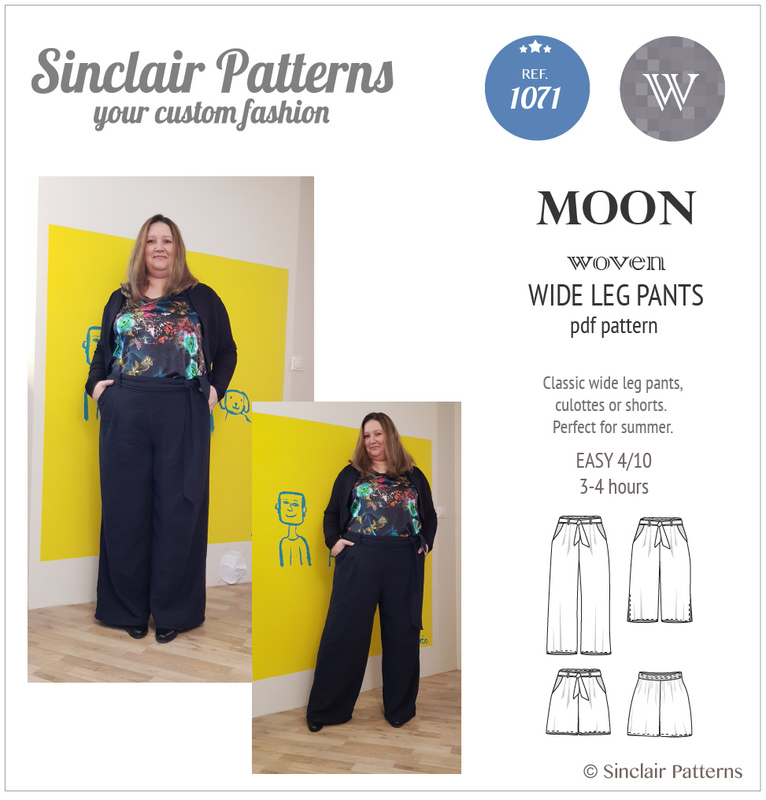 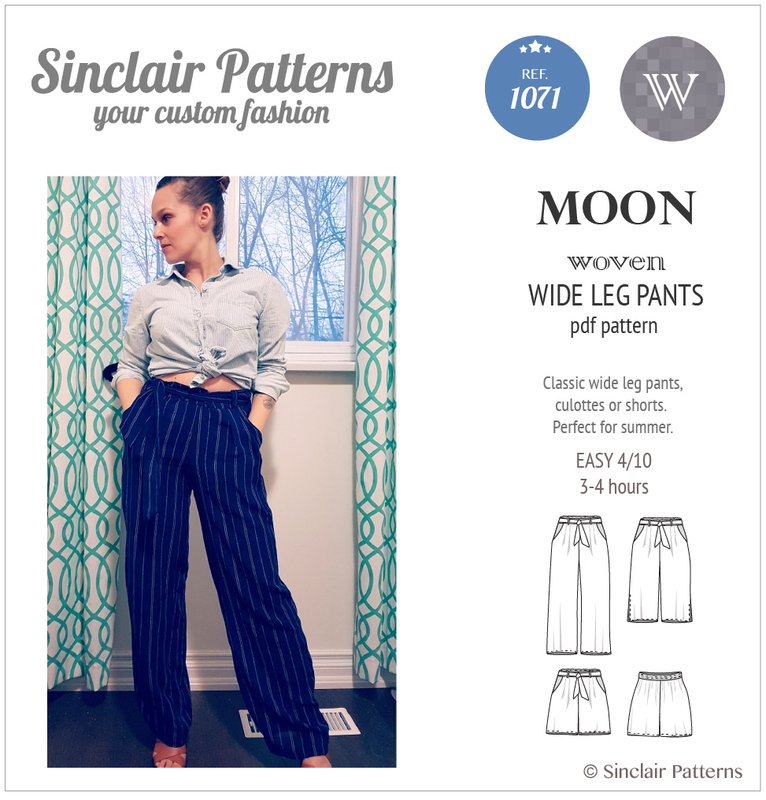 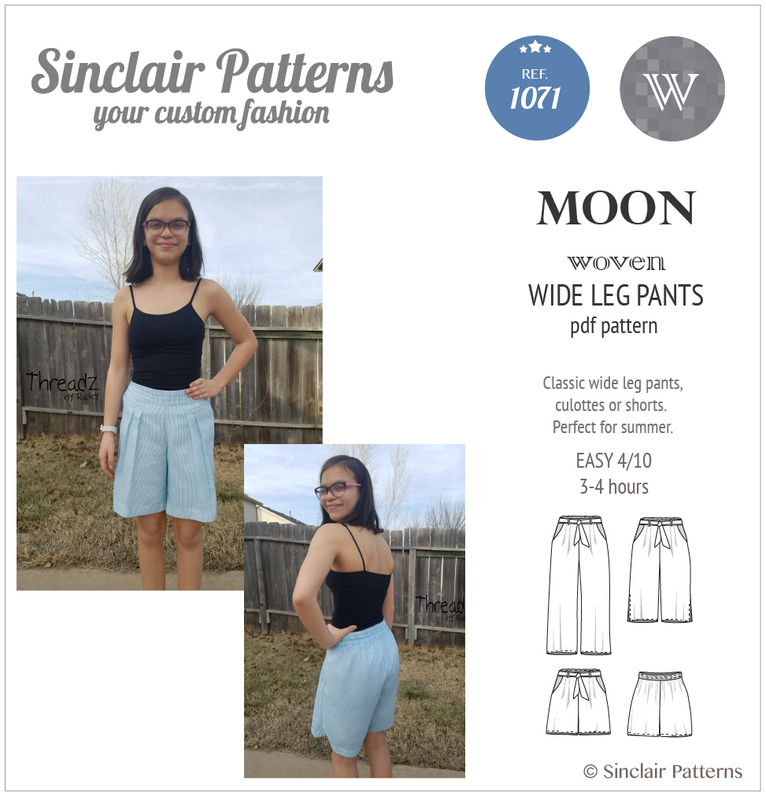 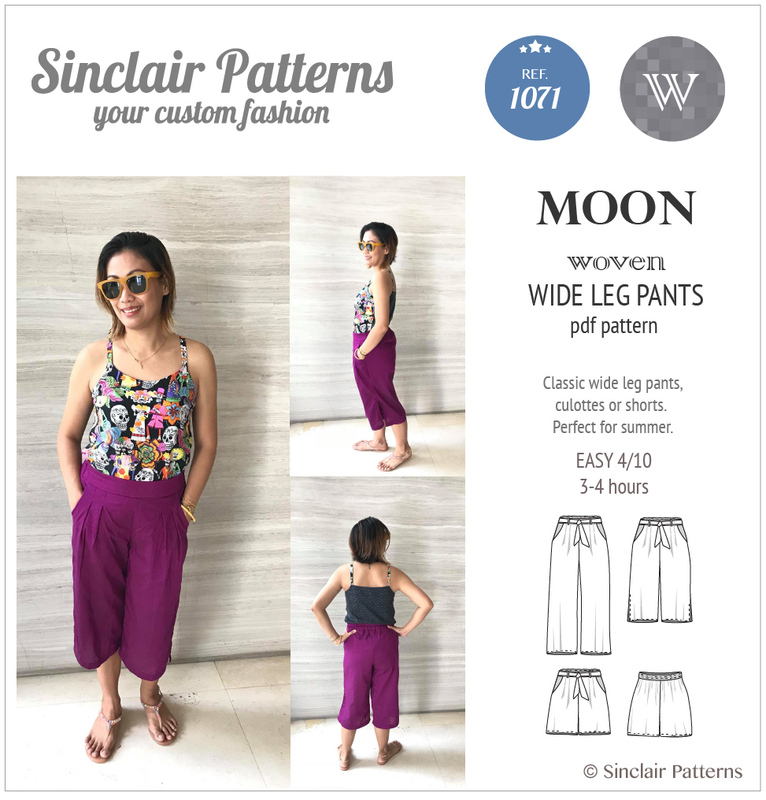 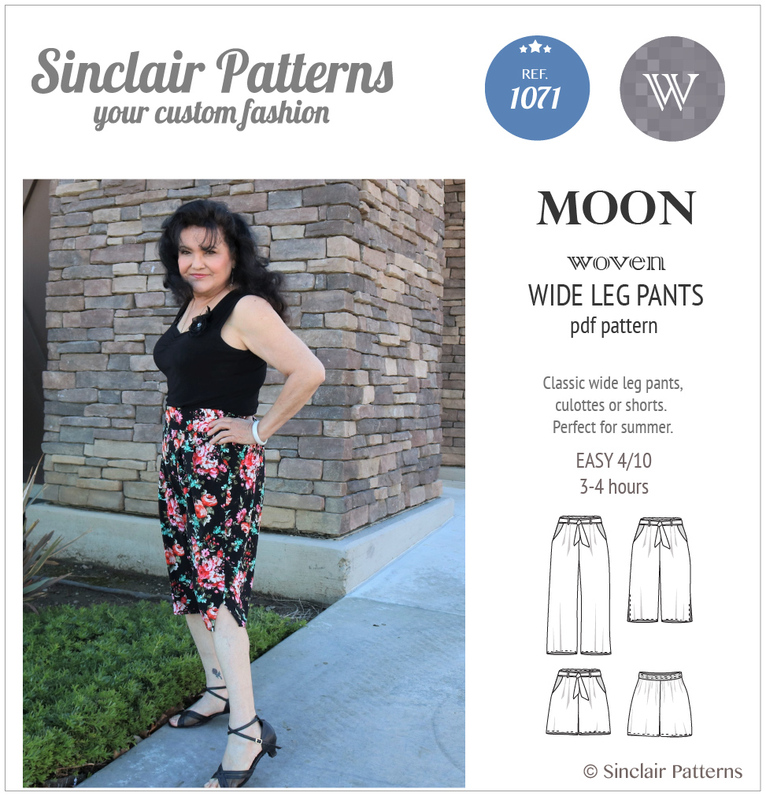 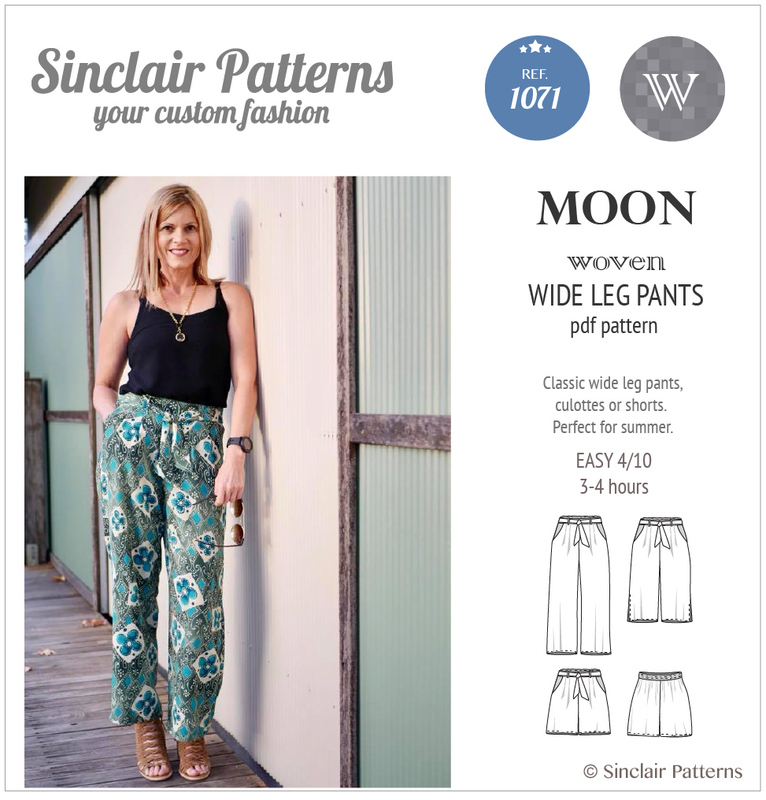 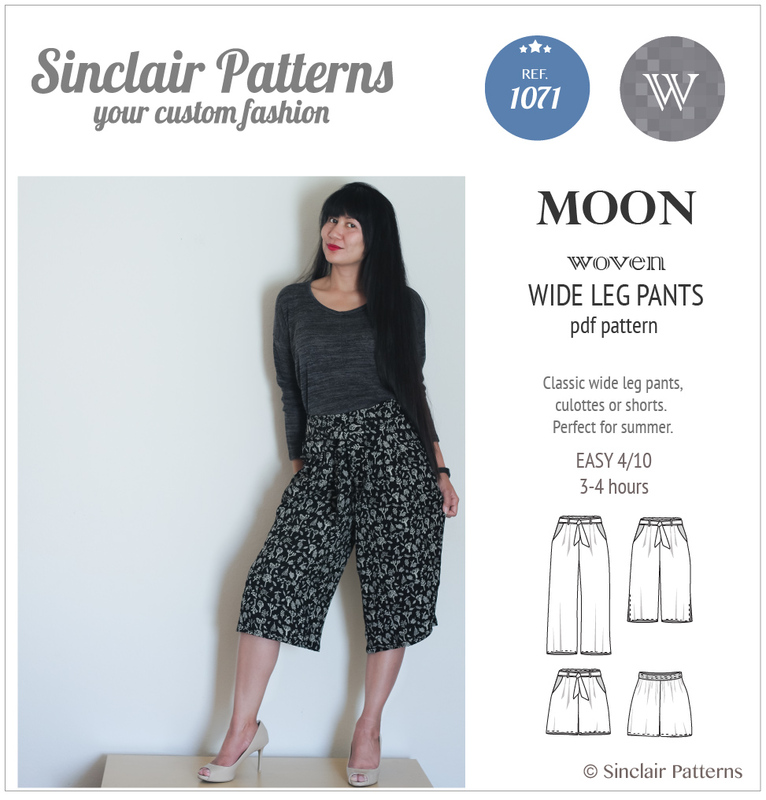 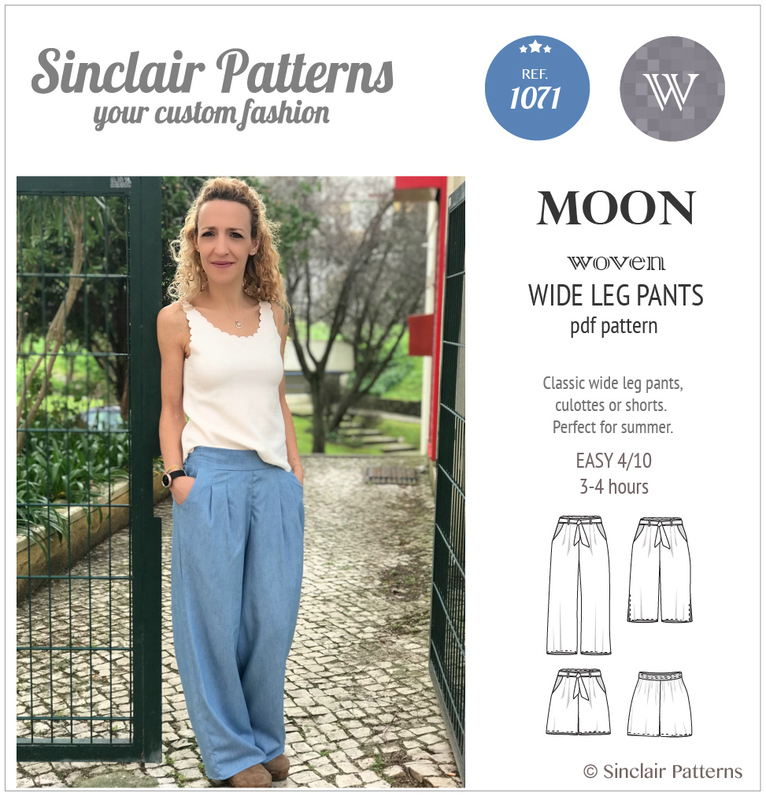 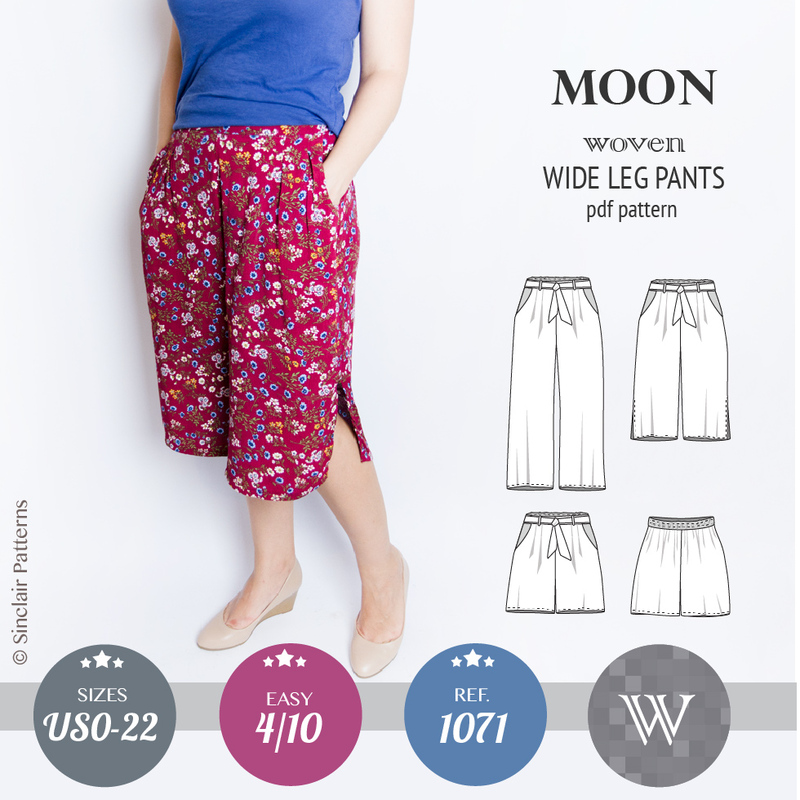 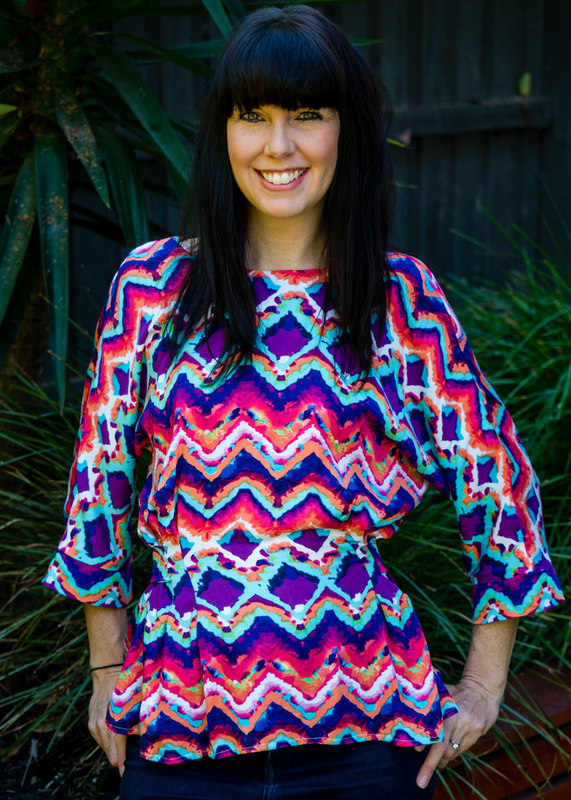 Offered as classic pants, culottes with side slits or mid thigh length shorts. 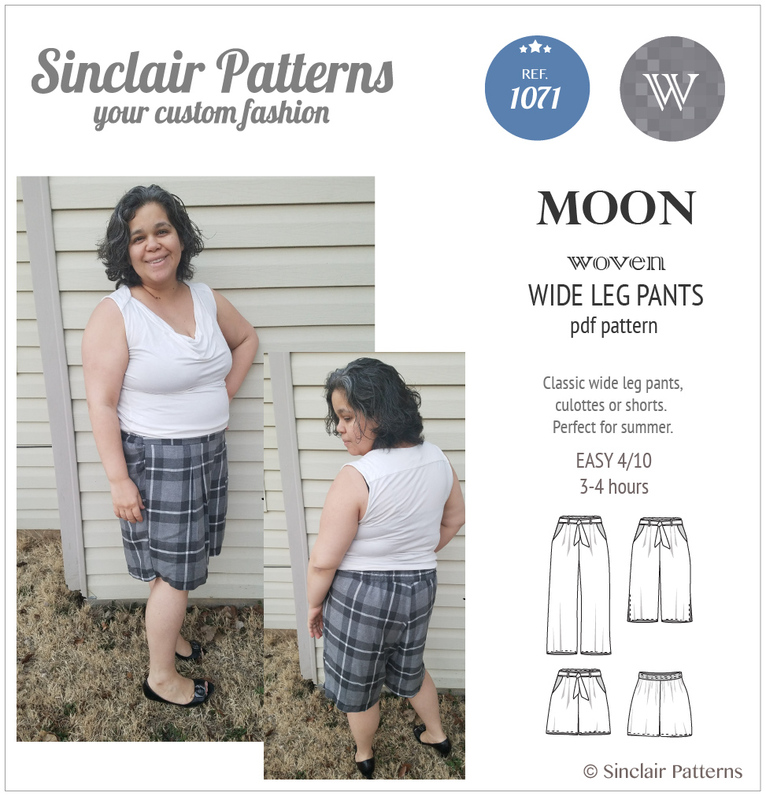 Optional bow tie in the front. 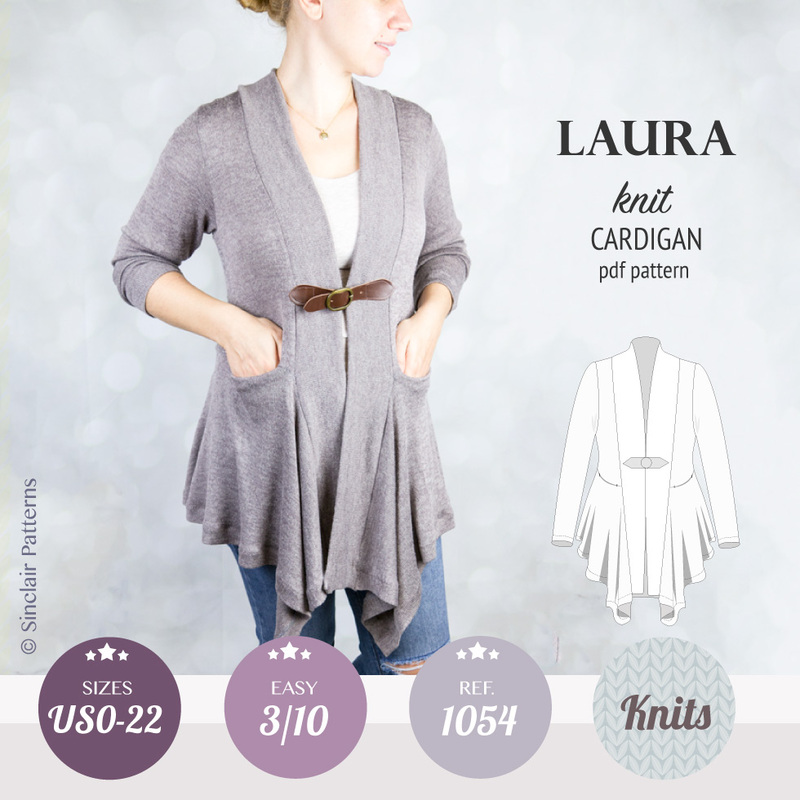 Two side pockets. 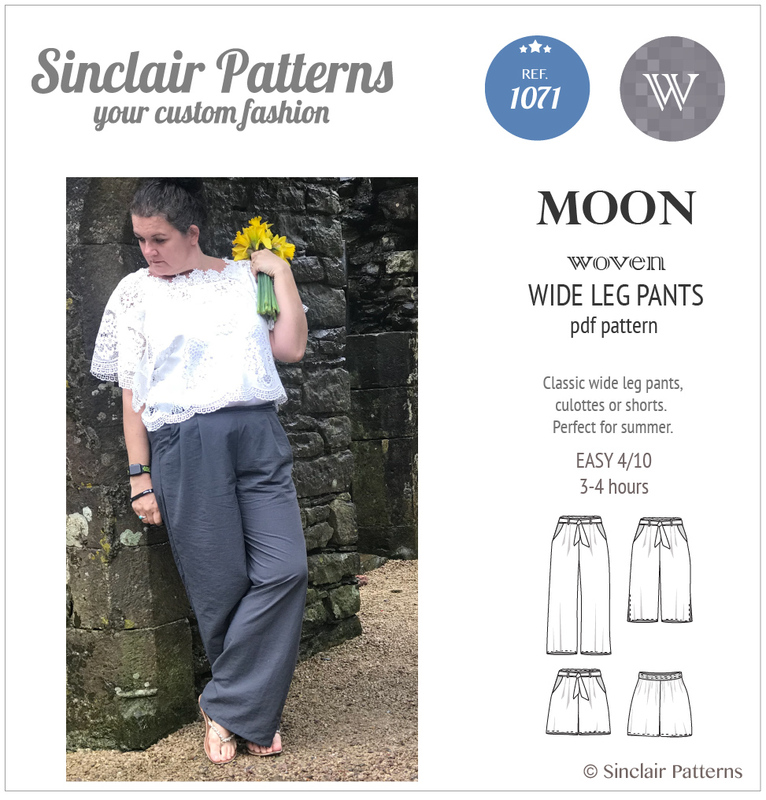 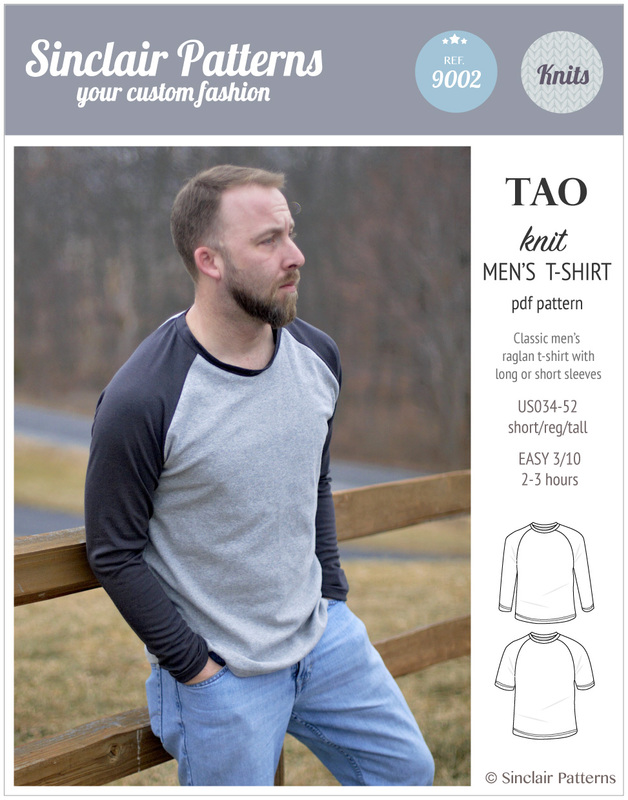 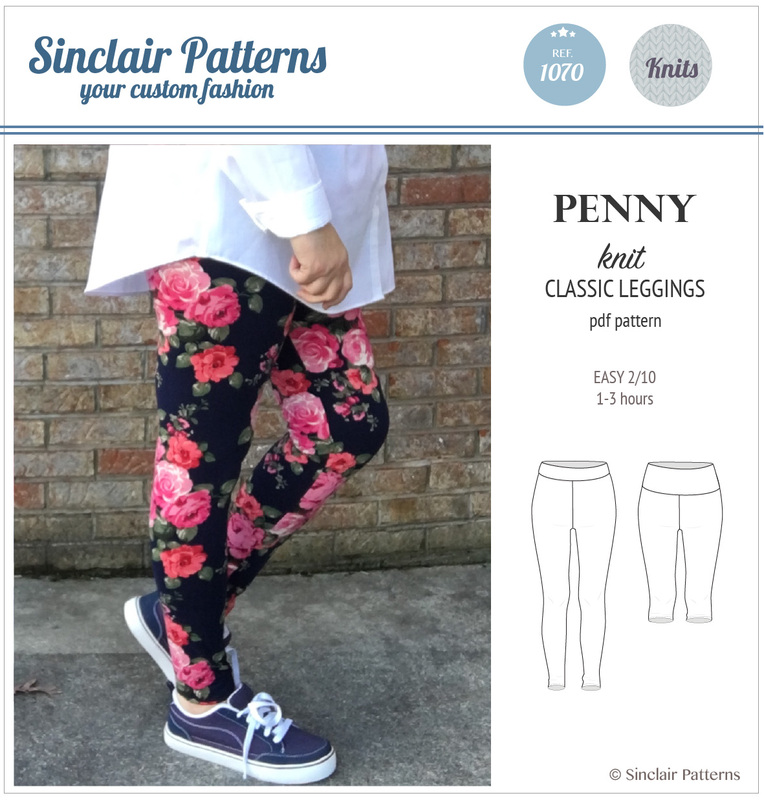 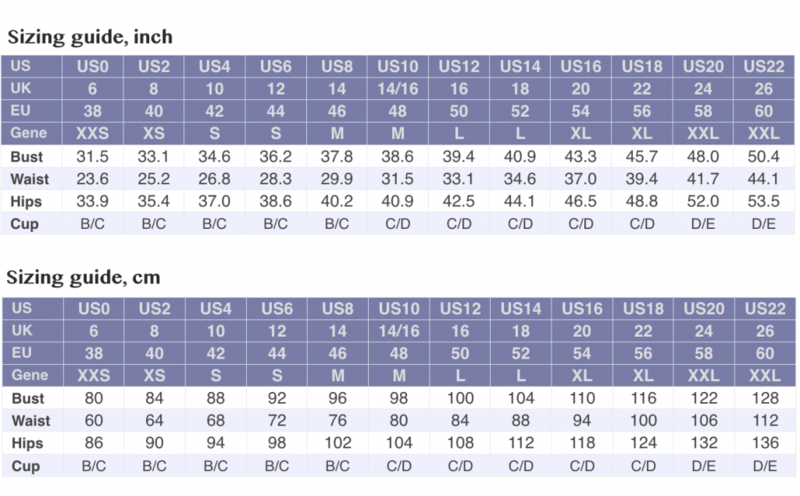 Pants designed to sit in between natural and low waist. 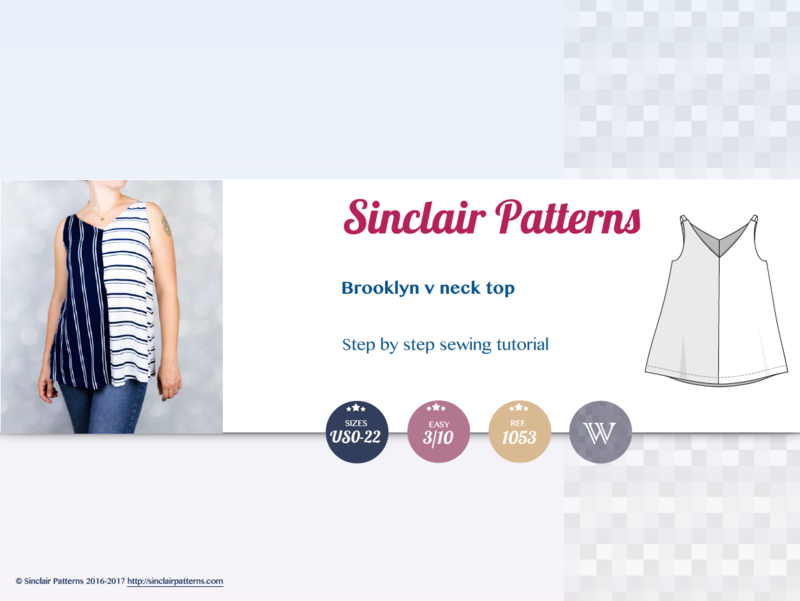 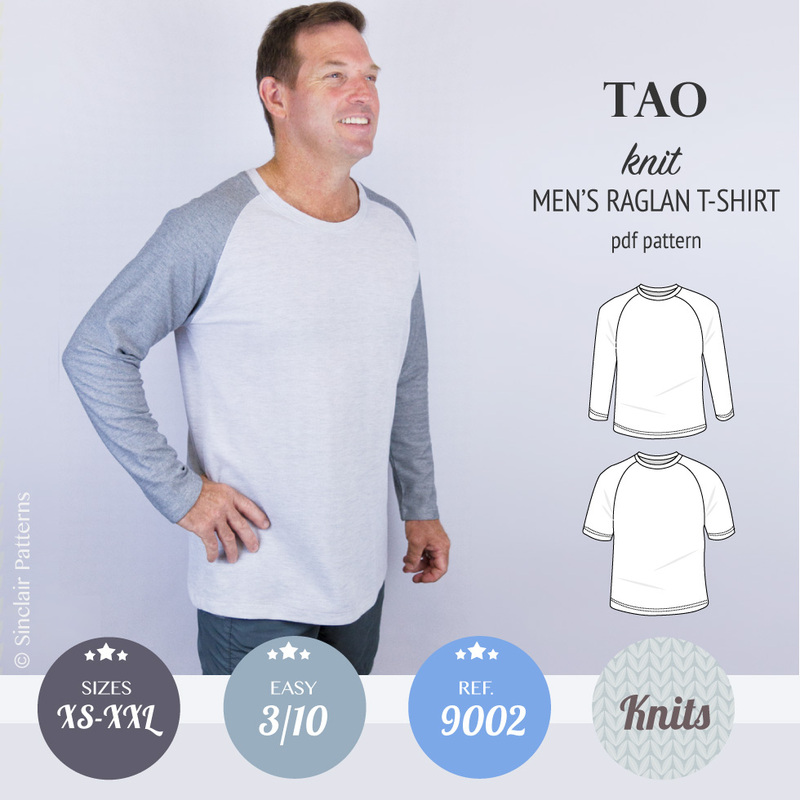 Perfect garment for hot summer days. 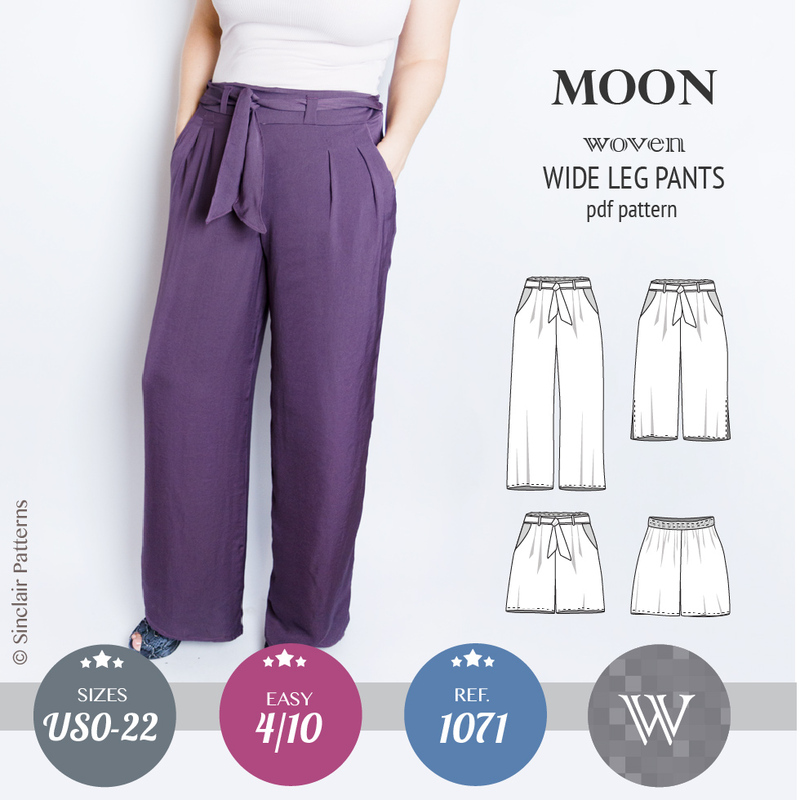 One of the hottest 2018 trends. 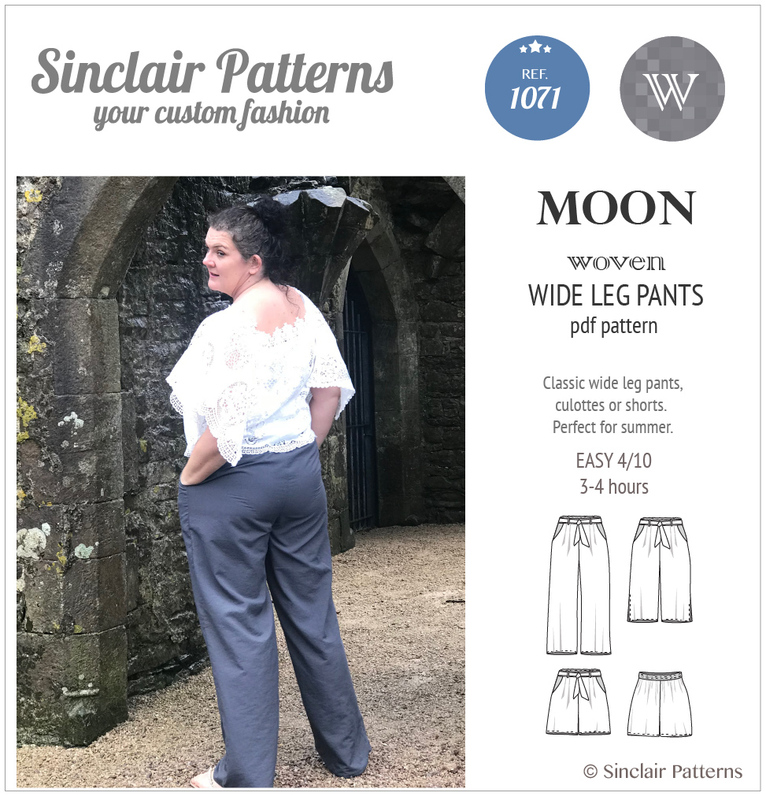 Featuring: Classic pull on wide leg woven pants, fitted at the waist with two tucks and elastic band in the back, loose fitted at the hips, knees and ankles. 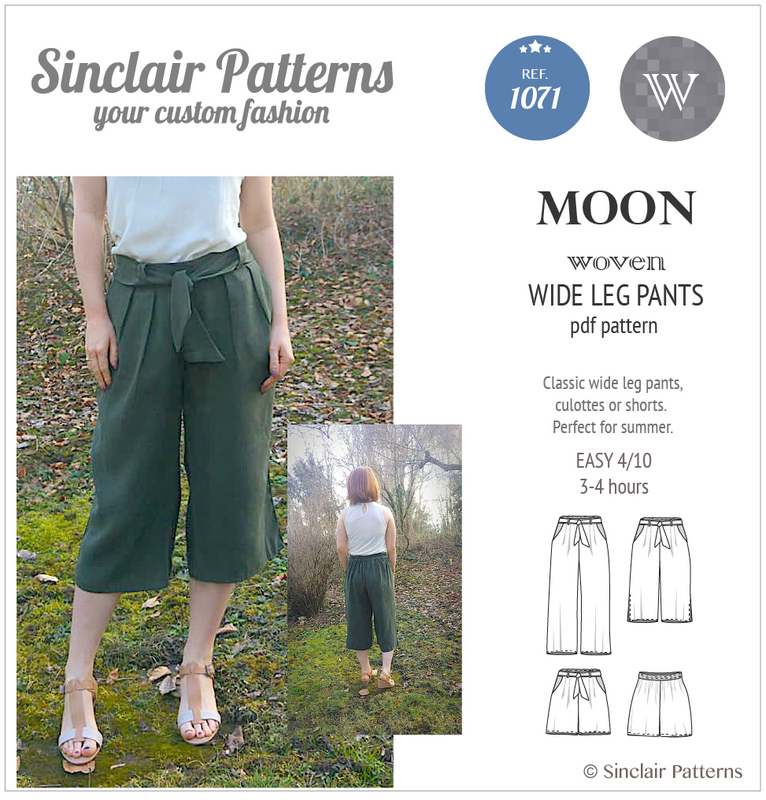 Offered as classic pants, culottes with side slits or mid thigh length shorts. 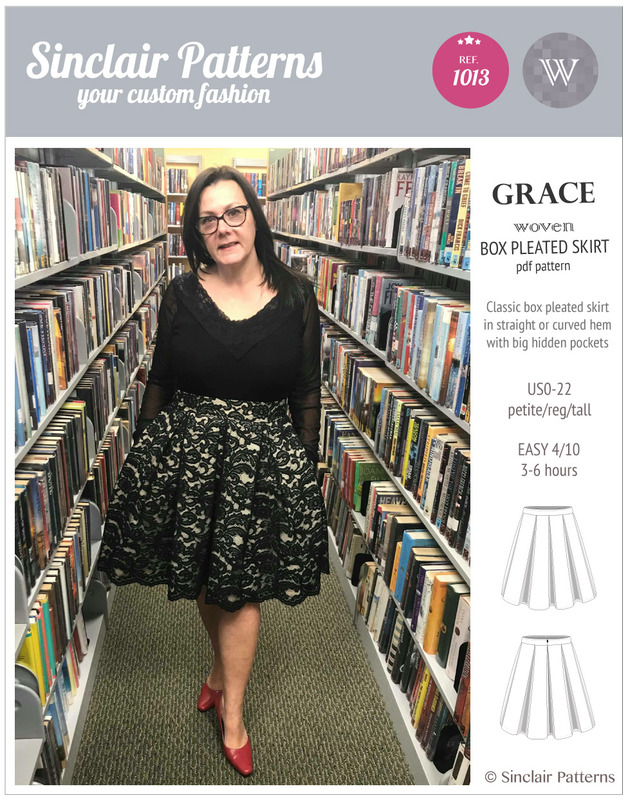 Optional bow tie in the front. 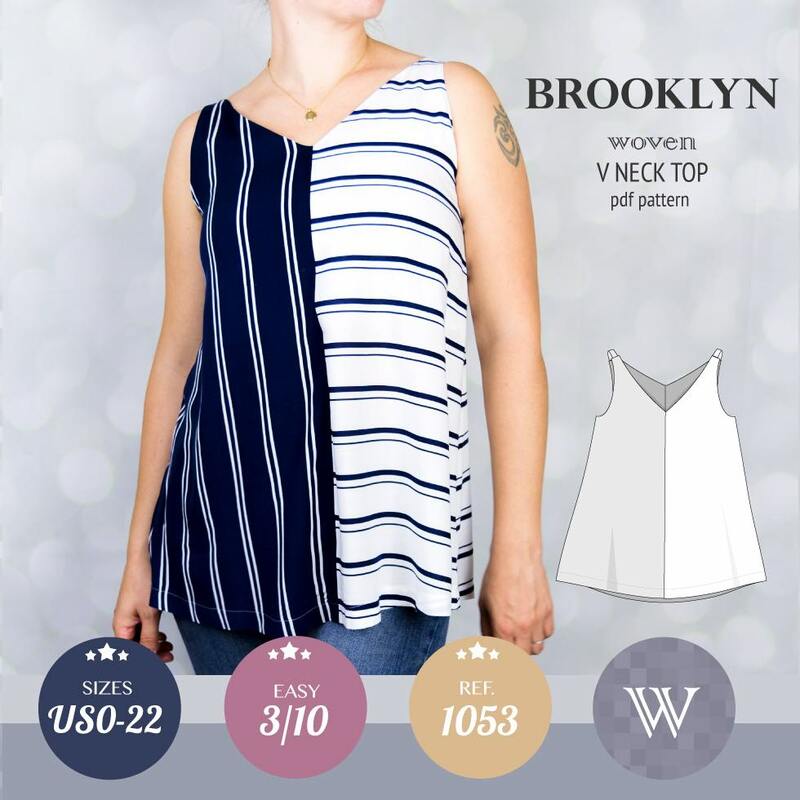 Two side pockets. 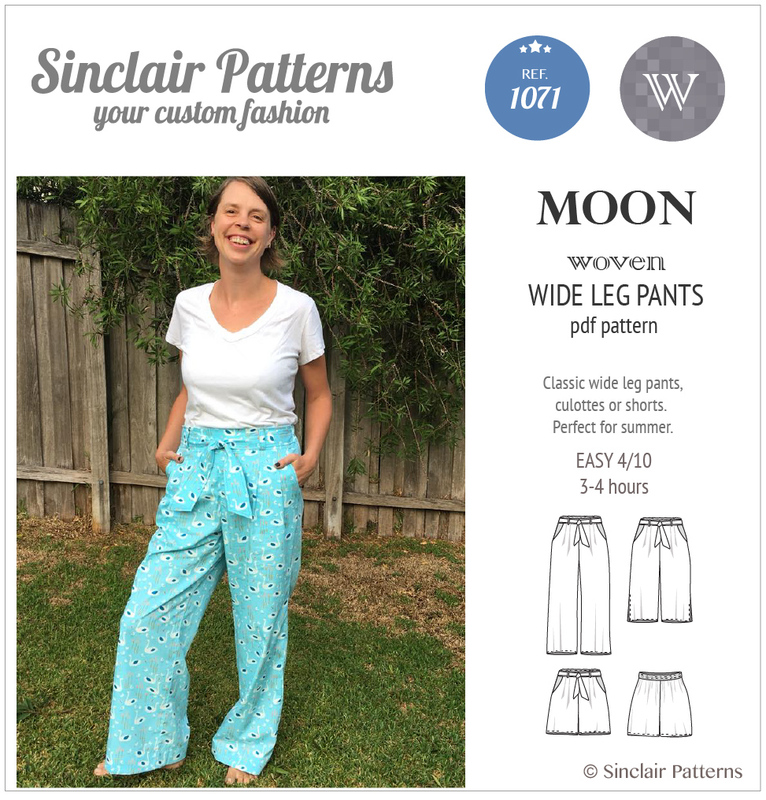 Pants designed to sit in between natural and low waist. 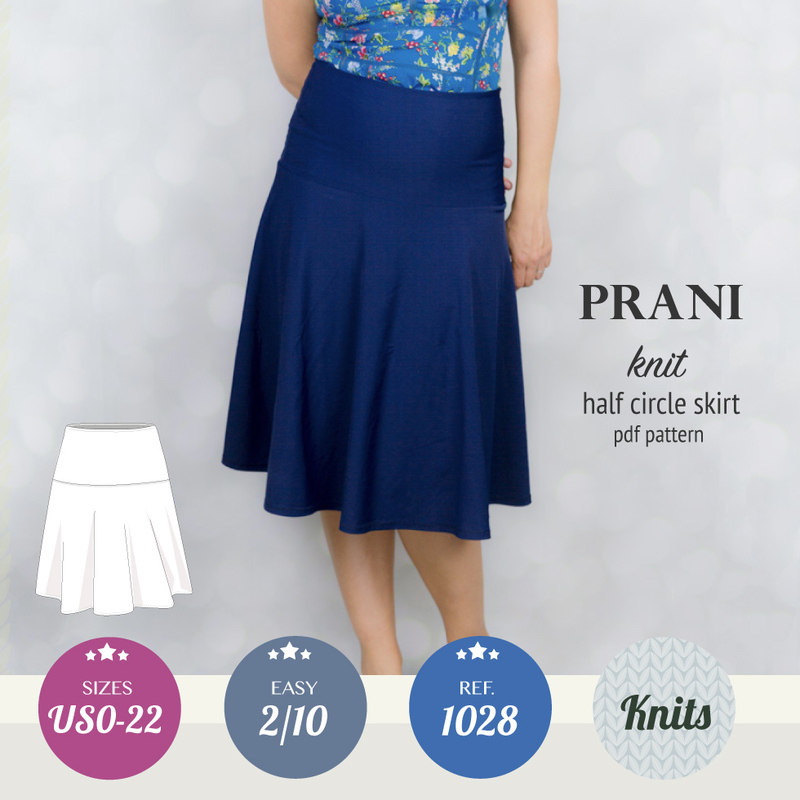 Perfect garment for hot summer days.